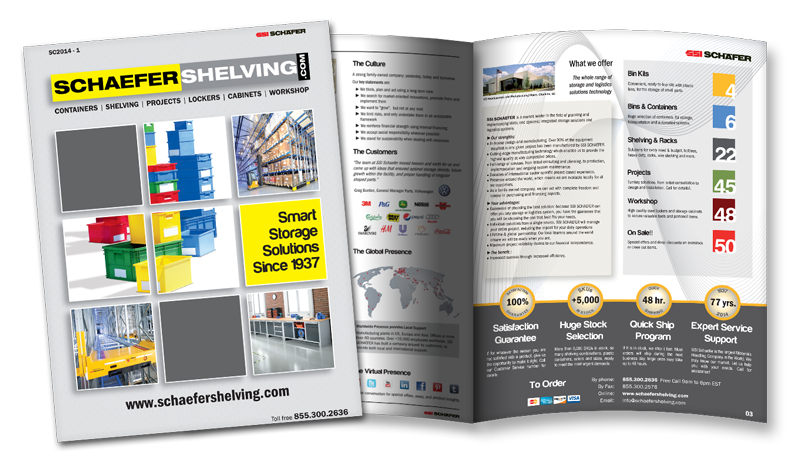 Schaefer Shelving has also developed a complete line of Conductive and Static Dissipative ESD Containers to protect sensitive electronic components from electrostatic fields, induced fields or ESD damage during production, shipping and storage. These containers are molded with a conductive carbon-filled polypropylene material to provide a barrier which these fields cannot penetrate. Containers are permanently conductive and unaffected by washing with normal cleaners. ESD safe containers are permanently static dissipative in the most desired range of 106 to 109 ohms/sq using only one to two percent carbon black. 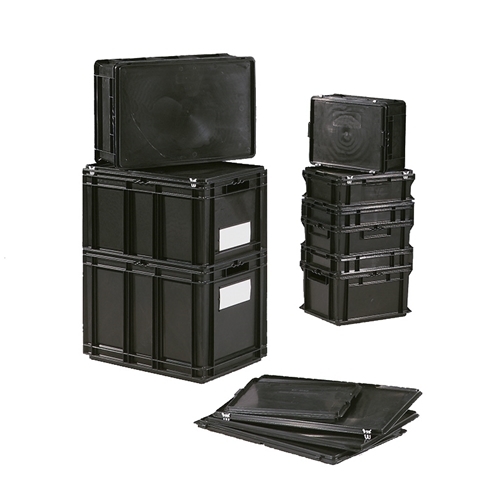 When containers are used with lids and interior divider sets, the highest level of protection is achieved. All containers are returnable, reusable and recyclable. They are permanently unaffected by washing and wear. Our entire selection of Conductive and ESD Containers is available in stock, ready to ship for fast and quality service.